The Internet of Things (IoT) refers to the idea to expand the existing Internet infrastructure (such as IP or UDP/TCP) to devices in order to facilitate communication between the devices themselves and/or between the devices and humans. These devices are typically constrained devices such as sensors, but devices such as your smartphone are also part of the game. Jay Margalus shows you an awesome IoT project developed last year called "Big Data Outbreak". 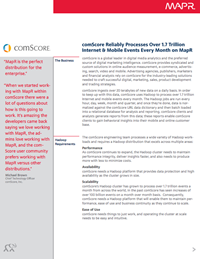 Learn how ComScore processes over 1.7 trillion internet & mobile events every month using Hadoop. Watch Ted Dunning talk about how IoT and other current trends are turning the internet upside down. This concise guide shows you effective ways to collect, persist, and access large-scale time series data for analysis. 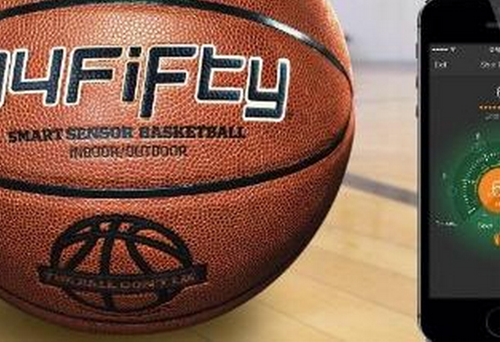 Learn how the 94Fifty® Smart Sensor Basketball is helping kids improve their basketball game by providing instant feedback through a mobile app. 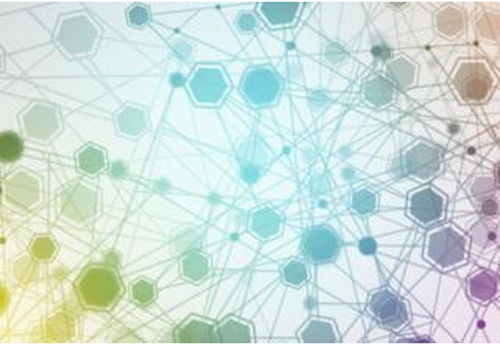 What is the Internet of Things and Why Does it Matter to Big Data? Learn about the IoT challenges and opportunities, review real-world use cases and how people are benefiting from applying big data techniques. Learn the essentials of Big Data and Hadoop with our free on-demand training.